Council of CAFFCI executive agency for the Member's Representative Assembly, to lead the daily work of the Association. Secretariat the general office of the council of CAFFCI. 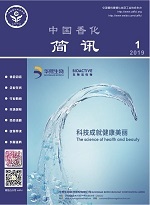 Standardization Organization Authorized by SAC(Standardization Administration of China),the Chairman of CAFFCI is the director of SAC/TC 257,and the secretariat is in Shanghai Research Institute of Fragrance & Flavour Industry.